In the most recent Upcoming nyctaper Events, I added the Hold Steady concert scheduled for September 17. The very act of typing “World Trade Center” evoked an odd set of emotions. Even six years hence, the very idea that 7 WTC will host a concert series is both empowering and bittersweet. As have many New Yorkers, I directly witnessed, and was personally, physically and financially effected by 9/11. Music Downtown is the brainchild of Wall Street Rising and Knitting Factory founder Michael Dorf. In a well-guided effort to help revitalize the WTC downtown area, Music Downtown is producing three free concerts in the week after the 9/11 anniversary. The site is straightforward in its mission: “not only will Music Downtown increase critically needed foot traffic to the area, but it will also help to plant new seeds for Lower Manhattan’s economic and cultural growth”. This is a mission which directly touches nyctaper, as my office is one block from 7 World Trade. All three of these concerts feature outstanding artists of varied genres. 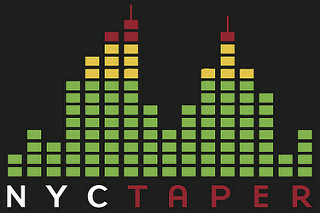 nyctaper has received permission to record the first night, September 17, which features The Hold Steady, Old 97’s, and Illinois. Artists featured on the 18th and 19th include Victoria Williams, Nick Lowe and Ollabelle. Brooklyn-based The Hold Steady produced one of the best albums of 2006, Boys and Girls in America, and were indeed Blender Magazine’s 2006 Band of the Year. Originally from Texas, Old 97’s are veterans of alt-country’s pop wing. They have produced 8 major releases, and are a rollicking live band.